42 in. vert. by 51 in. horiz. There was a half flight of stairs connecting the bowling alley and the rest of the Center. 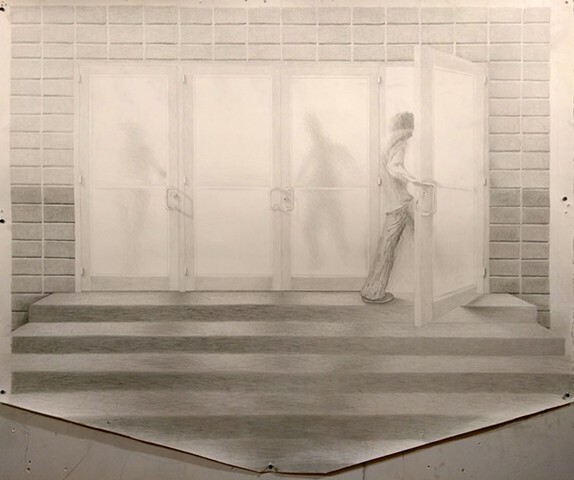 I passed through these doors countless times, and remember people appearing like ghosts through the frosted glass as they approached from the other side.